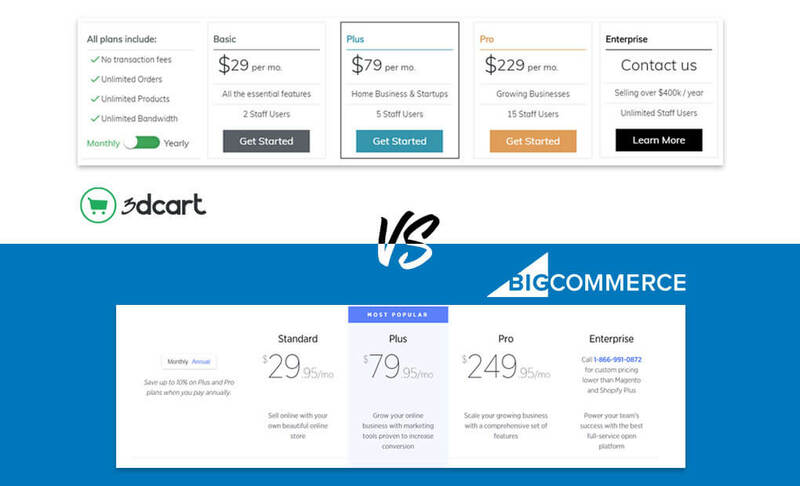 BigCommerce vs 3dcart - What’s Best for your Ecommerce Store? For a serious internet marketer, choosing the right platform to run an e-Commerce store on is a critical, first step towards success. But it is never easy to choose a single platform from the many being offered. The ideal platform should be affordable and versatile enough to match the needs of the merchant’s business model. 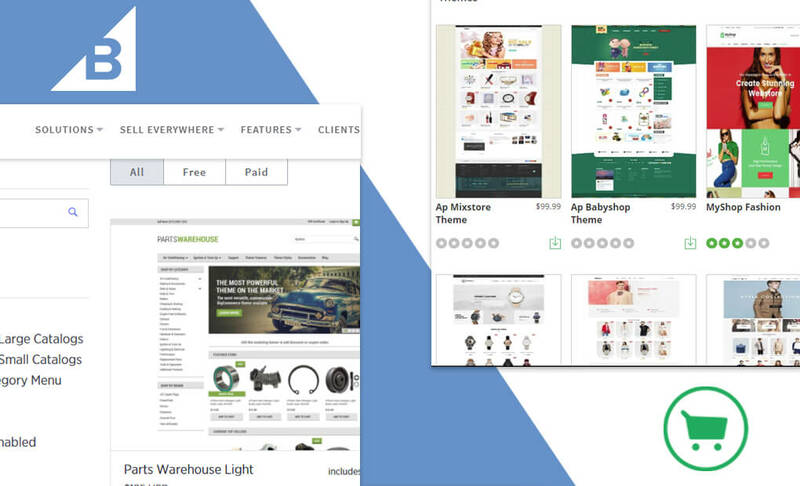 In this guide, learn about two feature-rich e-commerce platforms – the BigCommerce and 3dcart. Knowing what sets them apart opens a path to success in online marketing. BigCommerce is a self-hosted website solution their digital products online. The platform comes with a wide selection of functionalities needed to successfully set up and run an online store. The 3dcart e-commerce platform is a robust, cloud-based e-commerce platform. It’s ideal for both starter ventures as well as large enterprises due to its versatility in set up and use. The platform allows sellers to showcase multiple vendors to attract buyers for their digital wares. 3dcart avails to merchants over 100 mobile-friendly themes which make online transactions a breeze for mobile device users. These themes are available on the 3dcart’s control panel. In keeping up with mobile-friendly design trends, BigCommerce offers Stencil themes which are also responsive and fast loading. Unlike 3dcart, though, some of the themes that work best with online stores are available from third party suppliers. Internet marketing is all about reaching out to the market audience and showcasing one’s digital wares. To make email marketing easy, 3dcart features an embedded tool that merchants can use to send out marketing emails to existing and prospective clients and in large numbers. Actually, a merchant can send out up to 30,000 emails on a monthly basis thus increasing chances of netting buyers in the process. On BigCommerce, it’s the built-in MailChimp feature that merchants leverage on to send customized messages to their target markets. BigCommerce offers users more than 60 payment gateways. These include Paypal, Worldpay, Square, and Stripe among a list of many. This makes it easy for buyers from locations to order for goods or services either on their desktops or through their mobile devices and make payments through a credit card. 3dcart platform, in comparison, offers over 120 payment gateways. This translates to flexibility when it comes to receiving payments from buyers or other businesses. As such, 3dcart appeals to individuals with large businesses who have clients from a variation of locations. Success in e-commerce is all about converting first-time buyers into repeat clients. The 3dcart platform comes with an amazing autoresponder package that a store owner can preset and send follow-up messages to customers thus create close-knit buyer-seller ties. The tool is especially helpful for store owners who have subscribed to the 3dcart premium plans as it can be used to carry out an elaborate email marketing campaign without a hassle. For BigCommerce users, Autoresponder Max is the alternative tool to 3dcart’s autoresponders. This tool is designed with seven re-marketing emails that a merchant can customize to fit their marketing ideas. The BigCommerce’s app marketplace provides merchants and users with a curated selection of third-party applications that bridge the gap in the platform’s customer support capabilities. Some of the more popular third-party applications are AfterShip, Ordoro, and Zendesk. For 3dcart users, merchants’ can access multiple sales channels through applications such as Shopzilla, eBay, Google, Amazon, and the mighty Facebook. Users can also link their 3dcart platform to support systems like Doba, Bongo, Quickbooks, and TaxCloud which play different roles including helping in accounting and taxation matters. To stroke confidence in customers, 3dcart users have a range of six SSL technologies to choose from and secure their websites and customer information. These include the Free SharedSSL, RapidSSL, QuickSSL Premium, GeoTrust EV SSL, Secure Site with EV and Secure Site. BiCommerce also gives users both free dedicated, purchase and third-party SSL certificates. 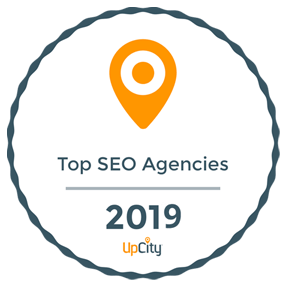 3dcart users have access to unlimited API calls, customer groups, FTP access, wait for lists, and abandoned cart tools which they use to improve customer experience. These tools make it easy for merchants to run marketing campaigns, reach out to prospective buyers and enjoy smooth e-store operations. For BigCommerce enthusiasts, most of the functionalities highlighted in here are mainly available on higher-tiered subscription plans. The 3dcart allow users to batch edit records. It also alerts the store owner of low stock which leads to smooth operations as there is no room for a shortage in stock. BigCommerce users can also manage their inventories albeit manually. BigCommerce presents 15 shipping options to choose from. These include real-time shipping quotes on FedEx, USPS, and UPS. Besides offering different shipping options, 3dcart system also supports real-time tracking and shipping label printing. A merchant can also multiple shipping addresses. Shipping charge calculation – costing the shipping process is a basic functionality on both platforms. The costing is done basing on destinations and the type of parcel or product being shipped. Both platforms have a user-friendly interface thus can be operated by one with basic marketing skills. Even then, 3dcart appeals to the majority of users as it is easy to navigate around. For 3dcart users, there are four pricing packages to pick from depending on the scale of operation. The basic package is the cheapest and costs $29/month. This package only accommodates two staff users at a time. The Plus package allows up to 5 staff users and attracts a levy of $79/month. Pro and Enterprise packages are the more advanced products. They are ideal for highly trafficked e-Commerce ventures. BigCommerce also offers four packages namely Standard, Plus, Pro and Enterprise. The Standard category is the cheapest while Enterprise attracts the highest price and is done on a quotation basis. Charges on Bandwidth – Both BigCommerce and 3dcart do not levy charges bandwidth usage in their multi-tiered pricing plans. For merchants looking for a suitable platform to host their online stores on, both BigCommerce and 3dcard offer robust and powerful platforms that can host small-scale enterprises to large online ventures. Even then, 3dcart‘s superiority especially with its 200 plus payment gateways cannot be overlooked. Additionally, 3dcart allows users to access many features that are otherwise only accessible on higher-tiered plans on BigCommmerce. All in all, both platforms can be ideal for a starter especially as they both offer a free trial period before one opts to stick with a given option.